When it comes to popular men accessories, wallet rules the roost most of the times. On one hand wallet is like a man’s most intimate confidant whom he can trust with his treasures and contacts while on the other hand, it’s also a part of his style statement. No wonder, men are usually very thoughtful when it comes to choosing wallets. 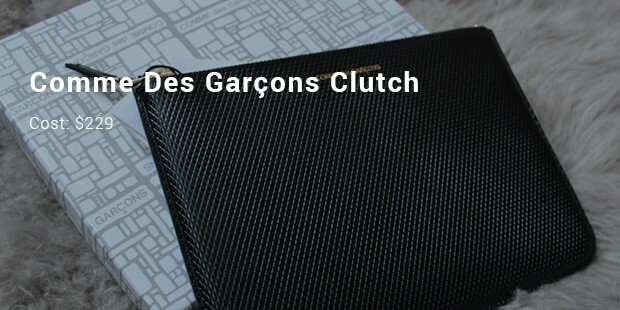 After all, a wallet is the extension of his rich persona and suave aura. While wallets come in any price range yet if you are looking something matching with your classy sophistication, it’s better to go with the most expensive wallets which are also the most macho ones. 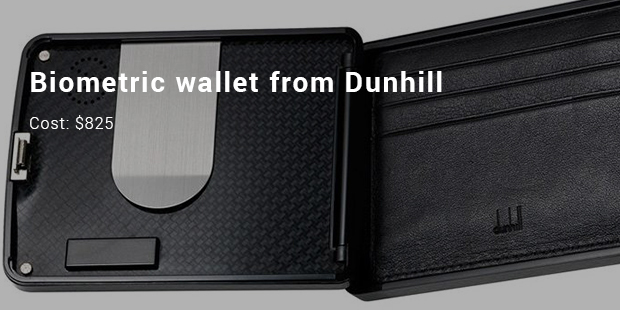 Dunhill has come up with an advanced biometric wallet which is equipped with Bluetooth proximity alarm, fingerprint sensor & carbon fiber case to ensure ultimate security. The wallet can be linked to the user’s phone through Bluetooth & if the phone & wallet are even 5m apart, the Bluetooth alarm will ring up to alert you. Anything that bears the hallmark of Saint Lauren is rightfully expensive and amazingly mind blowing. 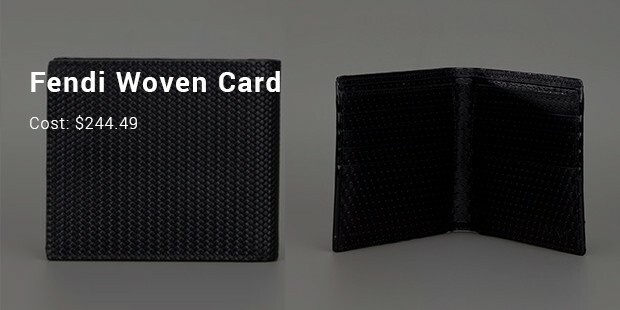 The wallet here is for those looking something more than a usual small pocket wallet and it offers you ample space to comfortably tuck in all your cards- along with the cash. The rich black calf hide is just classy. 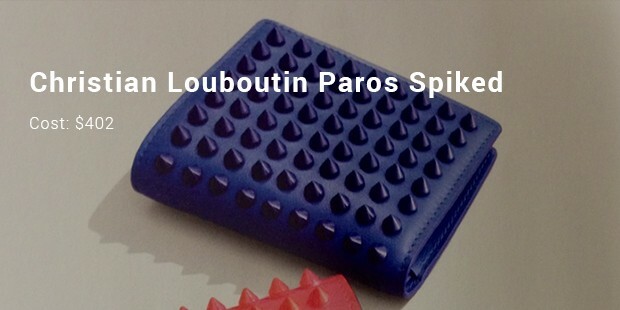 If you prefer the unique Goth style statement and would not mind to walk some extra miles for it- this expensive spiked wallet from Christian Louboutin is just the one for you. The spike factor adds on a desired edgy feel to the overall wallet and the white shade prevents it from getting too loud. The red tint would match up magnificently with your dashing ardent aura and it’s the perfect fit for the daring hunks out there. 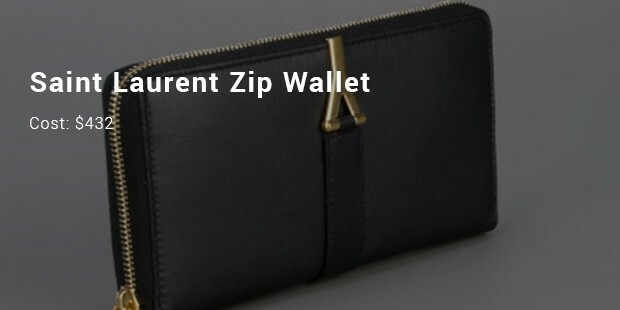 It’s stylish, elegant and the best part is that the wallet has been able to play the classy game right with minimalist effort- when you have such an awesome sophistication before you, you won’t definitely mind the high price tag. These premium wallets would make a classy accessory to your dashing style statement. Yes, these are expensive no doubt but given their premium make these are going to last years- and hence worth a grab in spite of their elevated price tag. These also serve as wonderful gifts for your best buddy or daddy dearest.